My baby girl is about to turn one, so I thought I'd lead up to this big event with a little blog-focus on her. Things are crazy (as usual) but I want to make sure I get some of this precious stage in writing. 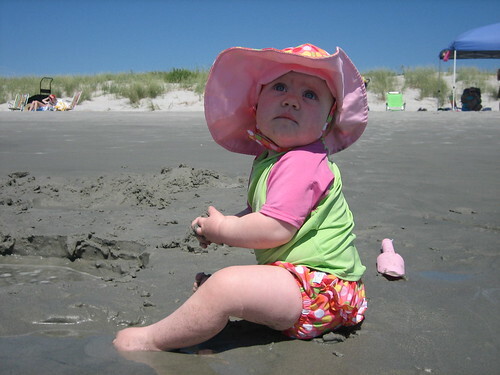 Here she is at the beach last week. We had a wonderful time but she's not the born beach-baby that her sister is. She enjoyed the tent and chair. Though, at one point she did heed the siren call of a shovel and pail, picking it up to join big sister and cousin in their play. 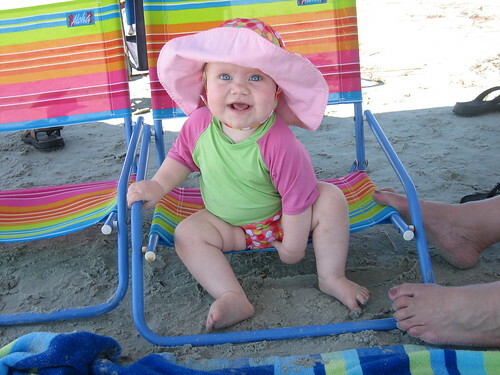 During her earlier trips to the beach, she was more of a baby. She went where we took her and either seemed to enjoy it, or, at least, didn't have much opinion on the subject. 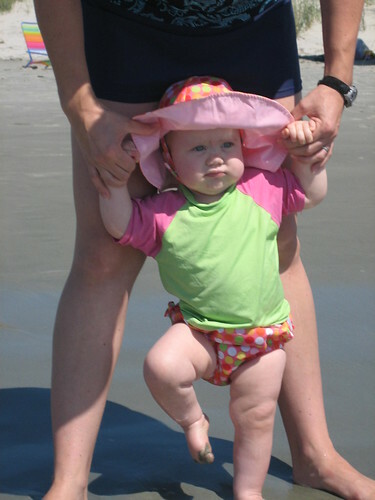 She's now master of her own little person (and often asserts herself in many areas of her life) and decided that she did not really like the sand nor salt water on her toes, legs, hands and face. I put a few inches of water in a baby pool on the back deck. Now that was grand fun. Check out some more beach pics here. I think I'll be adding some to this set later - can't remember what pics are still out there.